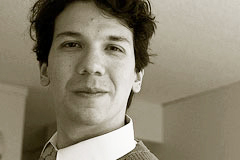 Juan Pablo Alperin is an Assistant Professor in the Publishing Program and a Research Associate with the Public Knowledge Project at Simon Fraser University. He is a multi-disciplinary scholar, with training in computer science (BMath, University of Waterloo), social science (MA Geography, University of Waterloo), and education (PhD, Stanford University). In his work, he uses computational techniques, surveys, and interviews to investigate ways of raising the scientific quality, global impact, and public use of scholarly work. He is an established scholar in both the open access and altmetrics (social media metrics) communities, having received numerous invitations to speak, and publish on these topics, both in North and Latin America, and has contributed a combination of conceptual, methodological, and empirical peer-reviewed articles and presentations, as well as edited two volumes, and authored several book chapters on scholarly communication topics. Dr. Alperin is best known as a leading voice on issues of developing regions to the scholarly community through a combination of published research, presentations, and membership in the scientific advisory board of RedALyC, a major Latin American open access initiative, and in the steering committees and student/early-career researcher advisory board of the Scholarly Publishing and Academic Resources Coalition (SPARC). He currently teaches two Technology seminars (Technology and the Evolving Forms of Publishing, PUB 802, and Technology and the Evolving Book, PUB 401), and a project-based course (Publishing Technology Projec, PUB607), and leads several research and development projects aimed at improving the quality, impact, and reach of scholarly publishing. You can read more about Juan Pablo’s work and see his latest publications and presentations, at http://alperin.ca. He can also be found on email (sometimes) at juan@alperin.ca, and on Twitter (always) at @juancommander.